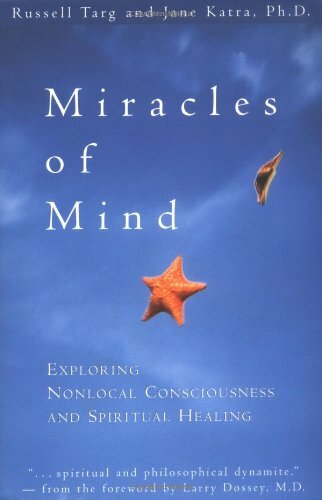 While listening to an old installment of Psychic Teachers called “You’re Psychic – Now What?,” they mentioned a book called “Miracles of Mind: Exploring Nonlocal Consciousness and Spritual Healing” by Russell Targ and Jane Katra. Samantha said that it is the one book that she read while opening up to her psychic ability that helped her the most. I figure I could use a little help with this myself. Focusing and harnessing our energy could help ALL of us achieve more in this life. I just downloaded the sneak peek chapter from Amazon… let’s see what I think after I read it. While searching for this book, I came across another one that looked really cool. 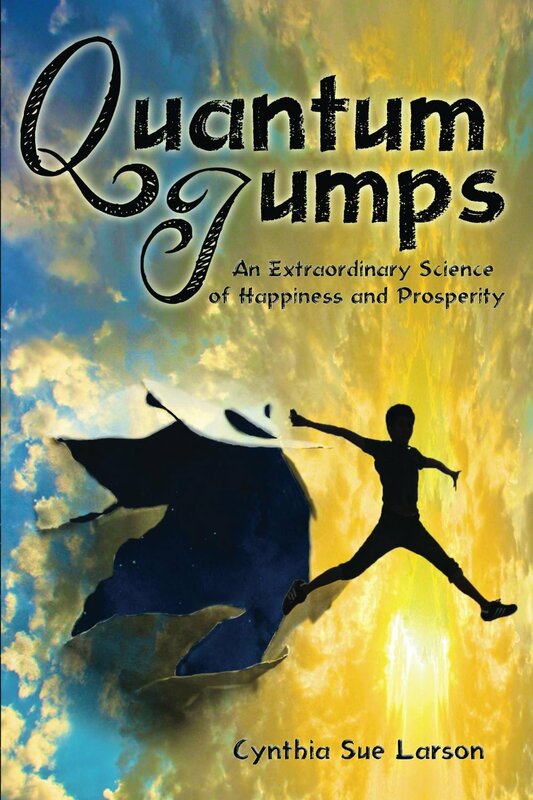 It is “Quantum Jumps – An Extraordinary Science of Happiness and Prosperity” by Cynthia Sue Larson. This APPEARS to be more like a handbook for harnessing the power of our minds to make real change in our lives. This is very intriguing to me! I have just come to know this hidden power in the last few years, and I have been amazed at how much we really can manifest into our lives if we would just believe it and focus our thoughts to make it happen. If you are interested, look into the books by Abraham and Esther Hicks. Amazing stuff! They have a YouTube Channel as well… check it out. Samantha also talked about Chevron Amethyst. She said that it is one of the best stones for opening and using your 3rd Eye… which… if you are new to all of this…means that it helps you with your intuition and psychic abilities. Another cool thing about this stone is that you can place it on any of your chakras and it will relieve tension in that chakra, and revive its energy. 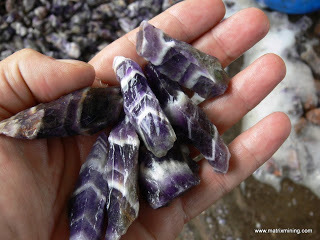 Chevron Amethyst is also said to help clear up viral and bacterial infections… so sleep with it under your pillow and keep it in your pocket if you are battling a cold or the flu. The Psychic Teachers also suggest going to classes on Psychic Development. I did some searching, and in the Tulsa, OK area, there is a Native American Shaman who gives several classes. Creek Lady Healer sounds like a really interesting person with a lot of experience… I am going to take her Psychic Development and Mediumship class in a few weeks! Super excited! Anybody have any other suggestions? Next Thinking about starting up a Pottery Adventure… let’s learn how!